A man's body is found on the Cape overlooking Grand Bank, Newfoundland. At first everyone thinks it's a heart attack or stroke. But then it is discovered that he was poisoned. Who would do this and why? Finding that out falls to Sergeant Winston Windflower of the RCMP along with his trusted side-kick Eddie Tizzard. Along the way they discover that there are many more secrets hidden in this small community and powerful people who want to keep it that way. Windflower also discovers two more things; a love of living in a small Newfoundland community that is completely different from his up-bringing in a Northern Alberta reserve and maybe the love of his life. 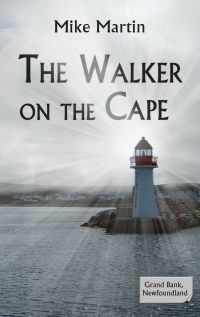 He gets a taste of Newfoundland food and hospitality as well as a sense of how crime and corruption can linger beneath the surface or hide in the thick blanket of fog that sometimes creeps in from the nearby Atlantic Ocean.